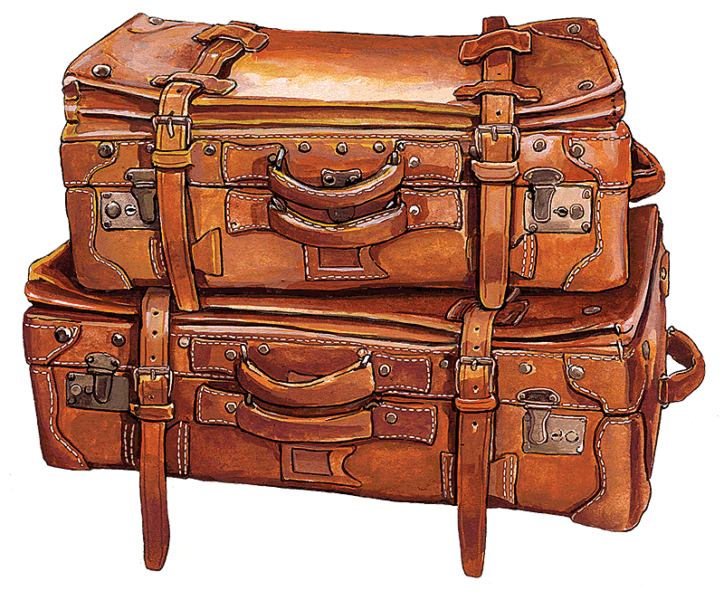 Leather suitcases: a bit more distinctive than today’ ubiquitous, homogeneous, Cordura-and-plastic roller luggage. One of many illustrations Done for an antique show promoter’s promotional materials. Gouache painting.